Dr. Mc Murtrey grew up in Rexburg, Idaho. He attended BYU and graduated with a Bachelor of Science in 1983. In 1987, he received his Doctorate of Dental Surgery degree from the University of Nebraska. Two years later, in 1989, he received his Master of Science and Endodontic Certificate from the University of Iowa. Dr. Lamont McMurtrey opened his endodontic practice in the Arvada/Westminster area of Colorado in 1989, and has been in practice here for 26 years. He has a wonderful reputation for being kind and gentle with his patients. His ethics and integrity are unwavering and consistent. He is genuinely concerned for the well being of each and every patient, and strives to make each visit as pleasant as possible. 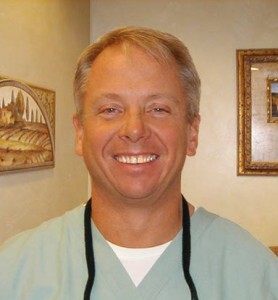 Dr. Mc Murtrey has been voted “Best Dentist” in Endodontics for many years running in Denver’s 5280 Magazine for his commitment, determination, and vision.